As a 17-year-old Jarryd Hughes his World Cup debut in February 2012 in Stoneham, Canada, finishing an impressive seventh and in the following month made his mark again by winning silver at the 2012 Junior World Championships in Sierra Nevada, Spain. He again announced his talent in the January 2013 World Championships placing 11th. In February of that year Hughes underwent the first of five left knee surgeries but was back riding in the Veysonnaz World Cup in March. After missing the 2013 Australian domestic winter season, Hughes bounced back big time onto the World Cup circuit finishing 8th in the 2013/14 season opener and going on to win his first World Cup gold at Lake Louise in Canada. With about 200 metres remaining in the Lake Louise final, Hughes piled on the speed, giving himself an unassailable lead, running out a clear winner ahead of Olympic medal contender Konstantin Schad of Germany. Competing at his first Olympic Winter Games in Sochi, Hughes was ranked number two in the World on the FIS World Cup Rankings. Hughes had to settle for 17th place after exiting the event in the second round. During the 2014/15 season Hughes solidified his promise as a world-class rider with eighth and fourth places in the March Veysonnaz, Switzerland World Cups. The highlight of the 2015/2016 season for Hughes was winning gold at the X-Games in Aspen, USA. Hughes led a historic 1-2 finish, with teammate Alex Pullin in second. 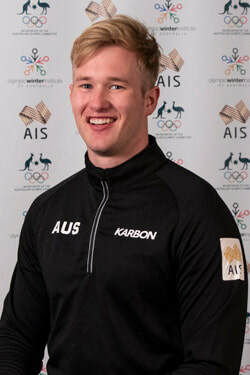 His 2016/17 campaign began in December just off the podium in fourth place at Montafon, Austria but the podium beckoned and came to fruition in Feldberg, Germany with a silver, which was an historic 1-2 for for Australia with team mate Pullin taking gold. In December 2017 Hughes claimed his second podium gold at Montafon, Austria. Hughes lined up for his second Olympic Games at PyeongChang in what proved to be a historic event, as the 22-year-old claimed the silver medal in a hotly contested men’s snowboard cross final. A spot in the big final came after Hughes and fellow Aussie Alex Pullin finished 2-1 in the semi-final, proving Australia was on the hunt for an Olympic medal. Hughes came flying out of the start gate in the Olympic final and managed to hold on to second place despite a number of athletes, Pullin included, crashing in the final. Hughes crossed the line in second, claiming Australia’s first medal in Snowboard Cross. Proudest moment: Winning X Games and 2nd at the Olympics but being able to share it with my family is what makes me proud. I began my sport in ... Interschools many moons ago. When I am not training or competing I am: Competing in Crossfit, Skateboarding, BMX and any other sport that sounds fun. I enjoy my sport because: I get to snowboard, what's not to love. Favourite international competition: Montafon, Austria, X-Games, Olympics. Any major competition, I love it when the pressure is on! Favourite Food: Lamb, I love to cook up a lamb for the family dinner. Favourite Music: Taylor Swift and anything in the Pop top 40. Favourite sporting team: NRL Dragons, Sydney Swans, Wallabies, F1, UFC, NSW Waratahs, Swimming, Crossfit, Tennis, Basketball, Golf. My heroes are: Seth Wescott, Connor McGregor, Lewis Hamilton, Matt Frasier and Mark Webber. Childhood Ambition: Swimmer or play for the Wallabies.